Creating a 'wow' factor with details and design. 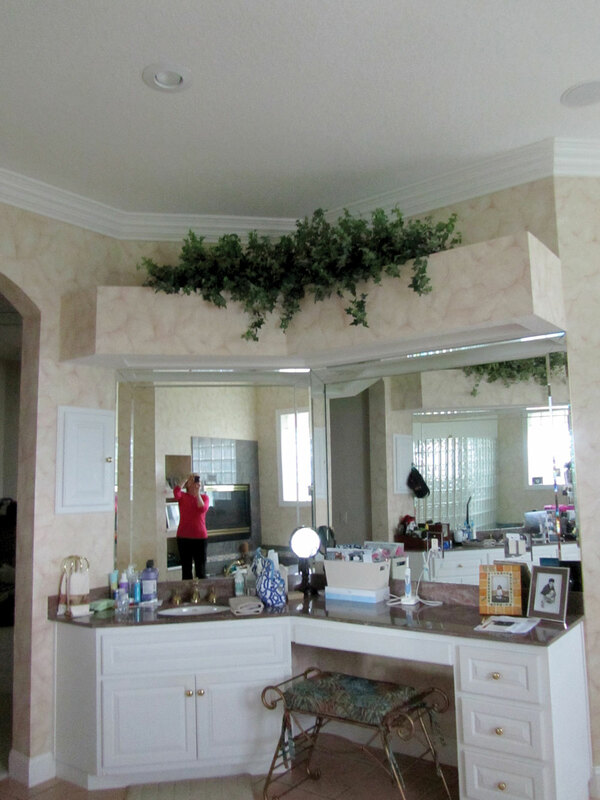 Our clients decided that after living in their home for many years, there were several areas that needed major updating, the master bathroom the most complex part of their extensive remodel. Our job was to look at every aspect of the space and to present options which would make the room more functional, would provide more storage, would improve the lighting, and, of course, be totally inviting and attractive. At the same time, we encouraged them to consider “aging in place” issues during the design process. As we reworked the floor plan, we created a focal point with a beautiful marble mosaic design on a gently rounded wall with arches on either side at the entry of the shower and to the tub. The inspiration for the colors came from the color palette throughout the rest of this spacious home. The mosaic tree has become a true “wow” factor that our clients truly love. 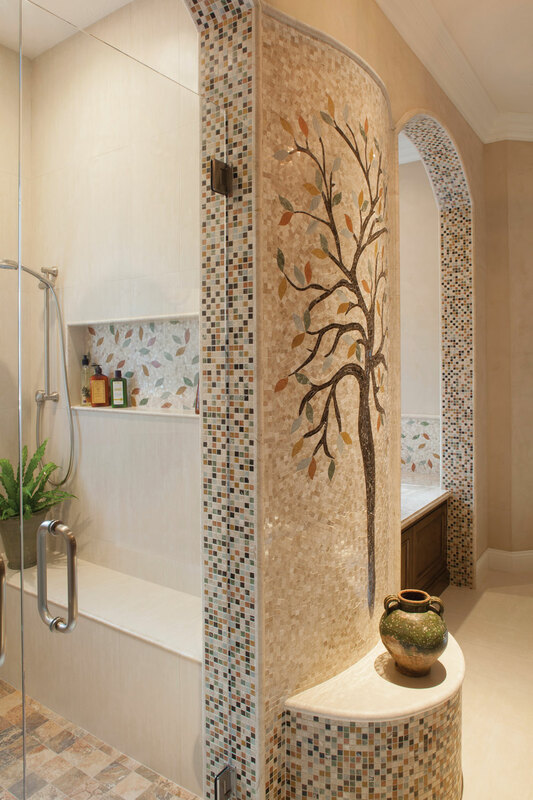 The falling leaf design for the tub backsplash and shower niches, in addition to the tile in the arches, complement the tree motif.